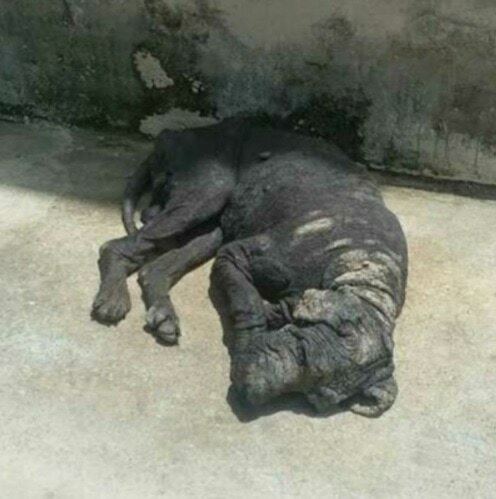 We have an urgent request for help with a dog called Bobby found living in horrendous condition on the streets. Hendrick and Company, who are dedicated to helping out shelter animals everywhere found out about Bobby and have stepped in to help him out. He’s also getting medical care and assistance from the New York Bully Crew. Please, if you can afford to make a donation, please do so. If you cannot, plat share Bobby’s story as much as you can. No dog deserves to ever be treated like this, and we know that our readers always help out whenever they can. You guys and gals are so awesome, and we thank you all in advance. UPDATE ON BOBBY! This poor dog has been living in pain with a BROKEN HIND LEG! Please donate to his care on his own personal page here: https://goo.gl/AccDcn. #Bobby is visibly in bad shape. It hurts our hearts just looking at him, knowing he has been living a life for God knows how long full of neglect and loneliness, living on the streets and just trying to survive!! 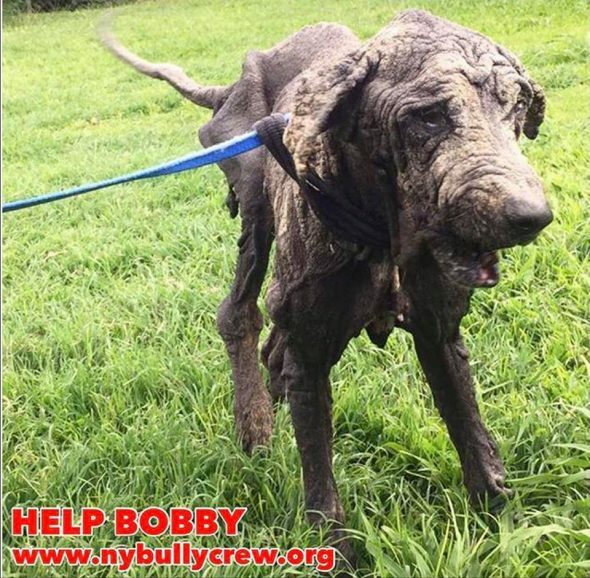 Bobby also has both Sarcoptic AND Demodex mange. He is anemic and has a high burden of parasites. He also has Ehrlichia, a tick borne disease, and is severely malnourished. We also do not know yet if the leg can be saved and it may have to be amputated. Let Bobby know that there are humans out there that care about him! Please help us help him! He reminds us so much of #MrHicks, we cannot turn away. Our colleagues from Pitbulls Rescue Survivors set out to find him and take him to safety. Just living alone, people were blindly walking by him day after day!! In Hicks’ memory we will help this boy and give him comfort for the rest of his days. Just left on the streets in this horrific condition. We were asked if we could help him and could not say no. Stay tuned for medical updates as soon as we receive more information and say a special prayer for sweet Bobby. AJ Is the Dashing Gentleman With a Goofy Personality You’ve Been Waiting For! Ă follow up please. What is his situation now? ?